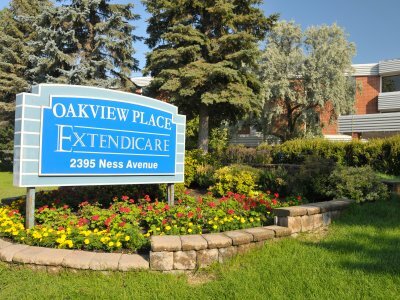 MARKHAM, ONTARIO Wednesday, March 13, 2019 – Extendicare is pleased to announce that the Ministry of Health and Long-Term Care lifted the orders against Extendicare Maple View in February. The home started admitting new residents during the week of February 19. We are very proud of the work the home has put in to ensure a safe environment with a high quality of care provided for all residents. Extendicare Maple View put together a strong compliance plan to meet the compliance requirements as stated by the Ministry of Health and Long-Term Care. Measures taken by the home include filling more than 25 vacant positions within the home at a time when labour has been in a challenge in the Sault Ste Marie area. These positions were locally advertised and sourced. The home held weekly onboarding sessions for the new staff to train them and to provide the necessary support and education they need to execute their roles with excellence. The crucial role of Senior Director of Care has also been filled, a condition that was one of the requirements of the order. This person will be instrumental in mentoring and guiding the team on care related matters. Extendicare Maple View now has an audit program in place to identify gaps in their compliance process and to ensure that they are taking all the necessary steps to meet the stated requirements in a timely manner. We also revisited our care procedures and practices with our staff and are providing continuing education, support, and resources that will help achieve and surpass the high standard of care we set for ourselves. Marva Griffiths, the Administrator at Extendicare Maple View said, “Extendicare Maple View understands that families are very crucial in the future success of the home. We have over the past weeks augmented our family communications through frequent town hall meetings with residents and family members and resident and family councils. Michael Harris, Extendicare’s Vice-President for Long-Term Care said, “We are very excited by the new developments. The team at Extendicare Maple View is ready and continues to admit new residents to the home to alleviate the local challenges in our community and to reduce pressure on the community’s wait list. About Extendicare - Extendicare is a leading provider of care and services for seniors throughout Canada. 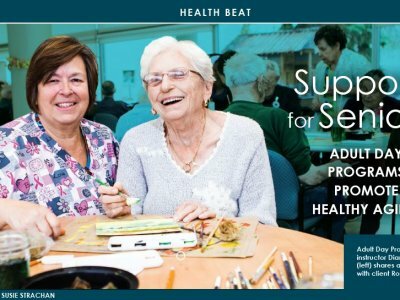 Through our network of 118 operated senior care and living centres, as well as our home health care operations, we are committed to delivering care throughout the health care continuum to meet the needs of a growing seniors’ population in Canada. Our qualified and highly trained workforce of 23,700 individuals is dedicated to helping people live better through a commitment to quality service and a passion for what we do.